Mercedes W154 racing car. 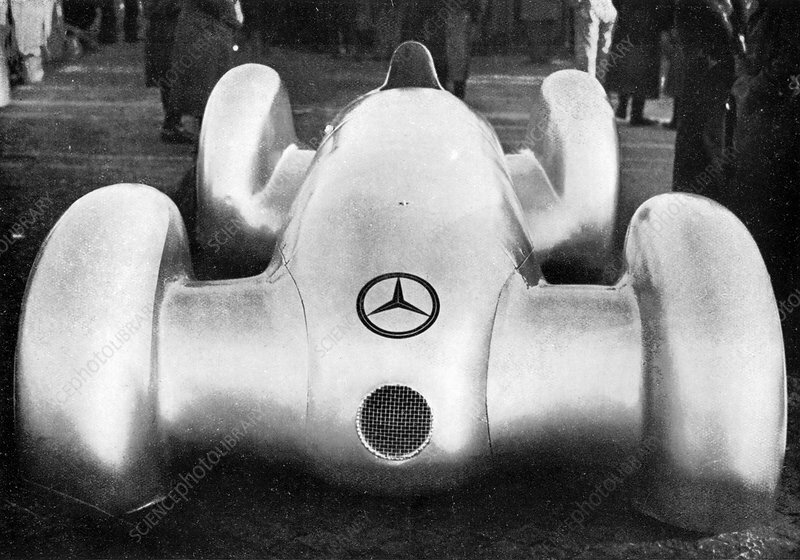 Historical image of the Mercedes-Benz W154 Grand Prix car driven by the German racing driver Rudolf Caracciola. This vehicle was designed by Rudolf Uhlenhaut and used by Caracciola to win the 1938 European Championship. Image from 'Wonders of Peace and War', by Geza Supka, Hungary, 1939.